In February 2019, two exclusive beauty boxes are launching. These are not monthly subscriptions, but one-off seasonal curations that contain only full-sized products, and are worth a lot more than the asking price. The first is the Beauty Expert Collection - The Vegan Edition, with fully #veganbeauty products. The second one is LookFantastic's Rose Collection for Valentine's Day, where all products are rose-themed. The Beauty Expert Vegan Collection costs £80 and is worth £180+, while the LookFantastic Valentine's Day box costs £60 and is worth more than £150. Both ship worldwide. Scroll down for more information, spoilers, and contents of Beauty Expert and LookFantastic Beauty Collections for February 2019.
Review of the Aurelia Miracle Cleanser may be seen here. Both these are great value for the money, and make for some excellent Valentine's Day gifts for someone special. For the vegan beauty lover, the Beauty Expert set makes a great choice, and the washbag is perfect for the frequent traveller - I can confirm that it fits in all my skincare and makeup quite comfortably. The LookFantastic Collection is prettiness, and is a great choice for the girly girl who loves her florals and roses. The heart box makes a great keepsake as well as a desktop organiser. The Beauty Expert Collection Vegan Edition is available here. 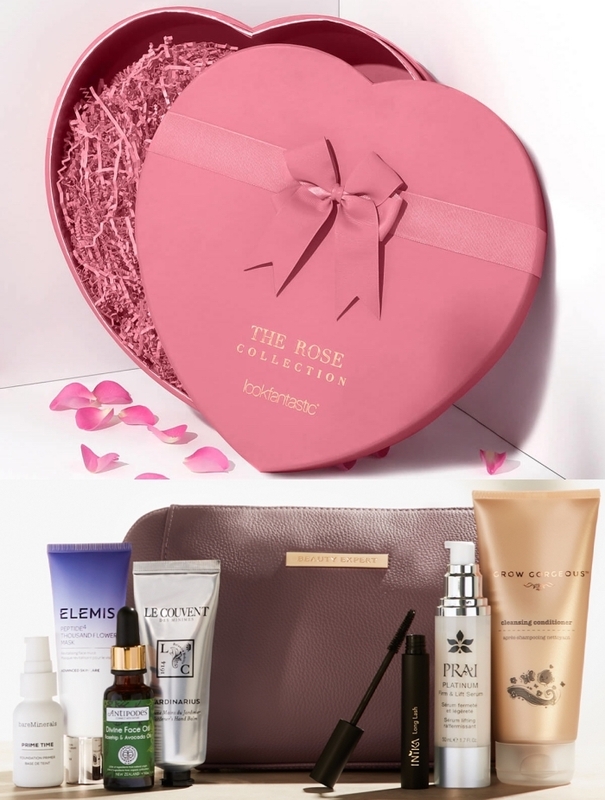 while the LookFantastic Valentine's Day Rose Collection Beauty Box sells here. Both ship worldwide - hurry! These won't hang around for too long, because of the great savings to be had!